A Guest Post from one of our businesses located in Canada CNCKing.com. 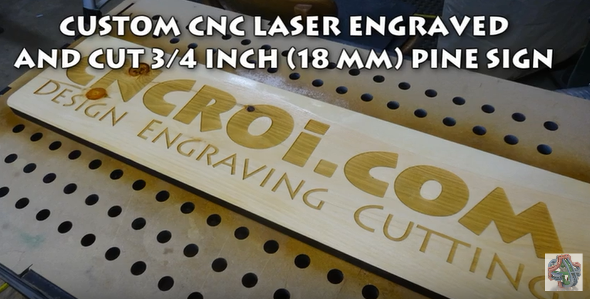 In this video, CNCROi.com creates a custom 3/4 inch (18 mm) Pine Sign using an Austrian wide-format Trotec Speedy 400 flexx CNC laser. 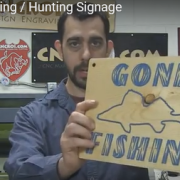 CNCROi.com is a professional custom CNC shop with clients worldwide that can engrave, etch, mark, anneal and cut any material for any application in addition to custom design / build solutions. The Engravers Register now presents.... your dinner!